Here you will find straight to the point videos which mostly consist of scary stories & dark themed lists. Twitter: https://twitter.com/Mista... Feedback / Requests? Send me an email. Feel free to send me stories, news events, or any strange findings from the internet, and hopefully it could be included in a video! If you send me stories, please make sure they are only real experiences; whether they are personal or not does not matter. Please do not send creepypastas or any other fiction, I aim to only focus on real topics on this channel. Patreon: https://www.patreon.com/m... **Use of any audio or affiliated animations of these videos on any other social media website without expressed permission is a direct violation of copyright law and will be pursued. Story 1 : Kathryn Weinstein Story 3 : "BluHippo" Insta: https://www.instagram.com... Twitter: https://twitter.com/mista... If you want to send a personal TRUE story of yours, please send it through email: [email protected] Anything with poorly structured sentences and grammar will not be read, so please just make them neat and understandable. Please also state how you would like your name to be credited in a video. Since we keep so much personal information on devices such as phones and laptops, losing such devices may come with dire consequences... Insta: https://www.instagram.com... Twitter: https://twitter.com/mista... If you want to send a personal TRUE story of yours, please send it through email: [email protected] Anything with poorly structured sentences and grammar will not be read, so please just make them neat and understandable. Please also state how you would like your name to be credited in a video. A bit of a twist to the pool topic I did a while ago. Story 1 : Jonathan Retkinski Story 3 : Merle Golic Insta: https://www.instagram.com... Twitter: https://twitter.com/mista... Merch: https://teespring.com/sto... If you want to send a personal TRUE story of yours, please send it through email: [email protected] Anything with poorly structured sentences and grammar will not be read, so please just make them neat and understandable. Please also state how you would like your name to be credited in a video. Spring Break might be the week most college students look forward to the most. However, like everything else, horror sometimes strikes even on spring break. Story 1 : Joseph Romaine Storry 2 : Rachel Clarke Insta: https://www.instagram.com... Twitter: https://twitter.com/mista... Merch: https://teespring.com/sto... If you want to send a personal TRUE story of yours, please send it through email: [email protected] Anything with poorly structured sentences and grammar will not be read, so please just make them neat and understandable. Please also state how you would like your name to be credited in a video. 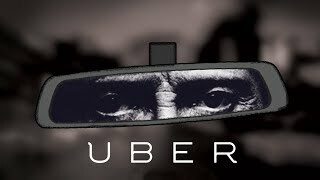 Here is a part 2 to a video made a while ago, horror stories that take place during Uber rides. Thank you to Christopher Stravinsky for story 2, and Dominick Cascarelli for story 3. Insta: https://www.instagram.com... Twitter: https://twitter.com/mista... Merch: https://teespring.com/sto... If you want to send a personal TRUE story of yours, please send it through email: mrnightmareinbox[email protected] Anything with poorly structured sentences and grammar will not be read, so please just make them neat and understandable. Please also state how you would like your name to be credited in a video. Here's one recommended by someone in the comments recently. 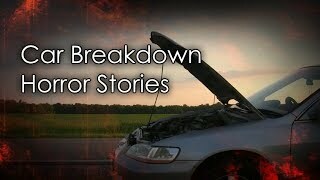 These are three horror stories that happened to people stranded in their broken down cars. Insta: https://www.instagram.com... Twitter: https://twitter.com/mista... Merch: https://teespring.com/sto... If you want to send a personal TRUE story of yours, please send it through email: [email protected] Anything with poorly structured sentences and grammar will not be read, so please just make them neat and understandable. Please also state how you would like your name to be credited in a video. 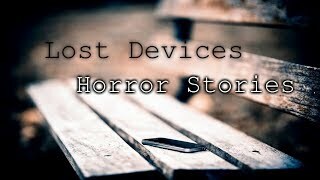 Here you will find videos which mostly consist of scary stories & dark themed lists.